This policy outlines the use of personal data under the Data Protection Act 2018 and the General Data Protection Regulations (“GDPR”) For the purpose of DPA and GDPR Youth Cymru are the data controller and any enquiry regarding the collection or processing of your data should be addressed to Youth Cymru. your interactions with us – including; registering on our mailing list, using our website, joining our online forum, making a booking on our website, attending an event or training course and seeking advice / support. 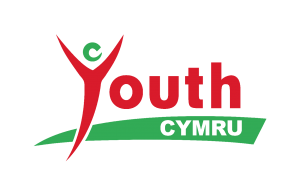 Youth Cymru complies with its obligations under the “GDPR” by keeping personal data up to date; by storing and destroying it securely; by not collecting or retaining excessive amounts of data; by protecting personal data from loss, misuse, unauthorised access and disclosure and by ensuring that appropriate technical measures are in place to protect personal data. We will process your personal data based on your consent, and/or because we need to use it in order to fulfil a contract with you (e.g. because you have subscribed to our membership, engaged with our programmes and/or legitimate interest). Legitimate interest means there is a valid reason for Youth Cymru to do so. This could include; making improvements to our services, to manage relationships with our supporters and to comply with relevant legislation. Whenever we process your information in this way, we ensure that we consider your rights and interests. We will never sell or swap your details. We may share your information with trusted third parties in the process of managing your engagement with us, such as the payment processing of donations or to partners who manage our events. · To enable us to provide support and advice for the benefit of those working with children and young people within the Youth Sector. Personal information provided to the Charity by you will only be used for the purposes stated when the information is requested. Personal information will not be sold to third parties, or provided to direct marketing companies or other such organisations without your permission. Explicit consent of the data subject so that we can keep you informed about news, events, activities and services offered by Youth Cymru. Where we believe any of our services may attract children and young people under the age of 16, we will clearly provide information notices to try and deter children from providing their personal data without parent or guardian consent. We do not knowingly intend to send marketing communications to children and young people. We actively encourage all our staff, whenever they are implementing new initiatives to assess whether these might be attractive to children and young people and if so, will ensure clear information is provided to try and deter children and young people from providing their personal data without parent or guardian consent. The transmission of information via the Internet or email is not completely secure. Although we will do our best to protect your personal data, we cannot guarantee the security of data while you are transmitting it to us via our site or formstack applications; any such transmission is at your own risk. Once we have received your personal data, we will use strict procedures and security features to try to prevent unauthorised access. The Use of Trusted Partners and Suppliers. We use external companies such as Eventbrite to collect or process personal data on our behalf. We undertake checks on these companies before we work with them and put agreements in place that require them to comply with data protection legislation and ensure that they have appropriate controls in place to secure your information. 5. The right to request that the data controller provide the data subject with his/her personal data and where possible, to transmit that data directly to another data controller, (known as the right to data portability), (where applicable) [Only applies where the processing is based on consent or is necessary for the performance of a contract with the data subject and in either case the data controller processes the data by automated means].